A simple argument between two spouses or relatives can quickly escalate into a dramatic and awful experience for everyone – even long after the fighting is over. Voices rise, tensions flare someone strikes out physically. Police are soon at the door, and now someone is going to jail. The ordeal that follows can last years. 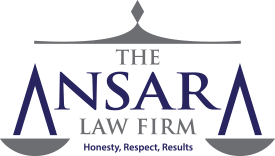 At The Ansara Law Firm, our domestic violence defense attorneys in Fort Lauderdale recognize how fast these cases can unfold, as well as the severe consequences that can result. That’s why we stress to defendants the need to seek early intervention from an experienced criminal defense attorney. There is often much regret in the aftermath from all parties involved. But unlike most other types of cases, alleged victims of domestic violence can’t expect prosecutors to simply dismiss the charges on request of the victim. Formulating an effective defense strategy typically involves a multi-pronged approach. The good news is that in Florida, domestic violence battery is one of the most defensable charges because arrests are often made with minimal evidence. This is why a defendant should never agree to a plea deal before consulting with an attorney, who can help you explore all of potential legal remedies. By having an experienced Fort Lauderdale domestic violence defense attorney on board your case as soon as possible, the chances of having the charges dismissed or reduced prior to trial are significantly better. When you hire a private attorney, it sends a message to the prosecutor that you are dedicated to fighting the case. All too often, those represented by public defenders end up accepting boilerplate plea bargains that turn out to be anything but a bargain. When a defendant hires a private lawyer with extensive experience specifically in defending domestic violence cases, it may weaken a prosecutor’s resolve to doggedly pursue the matter, especially if it’s a misdemeanor and the defendant lacks a prior criminal record. We also work to bar evidence of prior bad acts into the record. While prior acts of misconduct aren’t generally admissible in court cases, many jurisdictions are rethinking this, particularly when victims recant or refuse to testify. Fighting to have this information omitted can mean the difference between conviction and acquittal. This will not be an available strategy in every case. However, there are a substantial number of domestic violence cases in which victims aren’t keen to pursue these charges, for a myriad of reasons. If your attorney can work with the victim there may be an opportunity to have the case over before it really starts. It’s important for an attorney to be involved in this process because it’s a delicate situation. As a defendant, you don’t want to be seen as in any way intimidating or coercing a victim, and this is especially important if there is a “no contact” order in place. But if a victim doesn’t want to see the case move forward, he or she can make that desire known to the prosecution. Although the state may still decide to pursue charges, a victim’s request can be persuasive. Understand, though, that the ultimate determination rests with the prosecutor. In certain situations, it may be beneficial for a defendant to seek counseling or substance abuse or mental health treatment before prosecution in a domestic violence case is really underway. This can be good for a number of reasons. First of all, it helps improve the odds that a defendant won’t be arrested again for a similar offense while the case is pending. A subsequent arrest for a similar charge can be quite damaging, so this is important. Beyond that, it gives the court greater assurance that such an incident is unlikely to occur again. It also displays a degree of responsibility. If a prosecutor sees a defendant is willing to take these steps on his or her own, it may boost the chances the case will be resolved without a criminal conviction. There are some very solid public defenders in Florida. But the reality is, they don’t always have the time or the resources to formulate an effective defense. Our legal team, meanwhile, will begin early negotiations with the state. This can involve intervening on behalf of a client early in the process in order to highlight factual disparities in the evidence, present certain legal issues and notify the state of any mitigating circumstances. All of this can have an impact on whether a prosecutor chooses to continue with the domestic violence case.